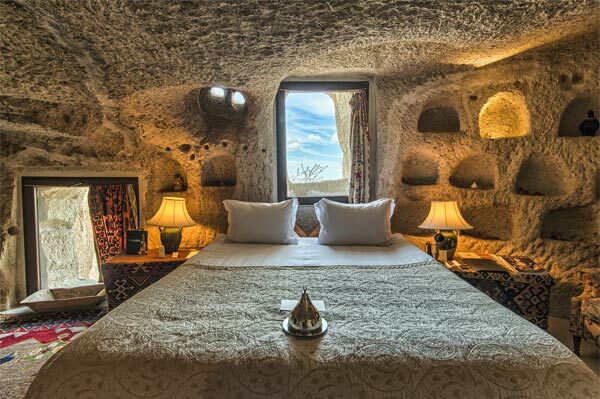 Cappadocia is famous for its pigeons, as well as for its beautiful horses, and therefore nearly all the valleys have dovecotes (güvercinlik). 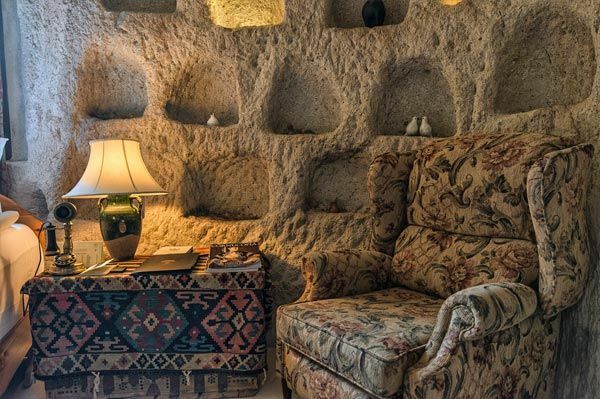 This room contains one of the oldest and biggest dovecotes in all of Uçhisar. During the meticulous renovation, all the original details were left intact. 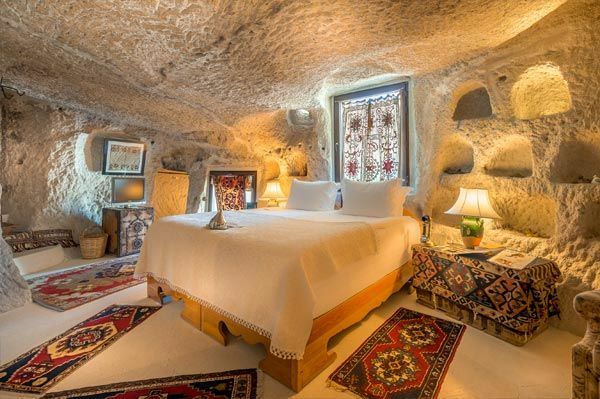 Although this room is a bit smaller compared to some other rooms in the hotel, the exciting tunnel access and the magnificent view of Cappadocia makes this a worthwhile choice.